In 2014, the IAB estimated that by 2018 programmatic spend within display advertising would have grown from 28% in 2018 to 80% of all marketing spend – and it’s looking very likely with the UK’s programmatic spend reaching 79% in 2017. The rise of programmatic spend has enabled more ad-tech companies to invest in technologies that help to make programmatic both more accessible and transferable into other ad formats, such as Native Advertising. 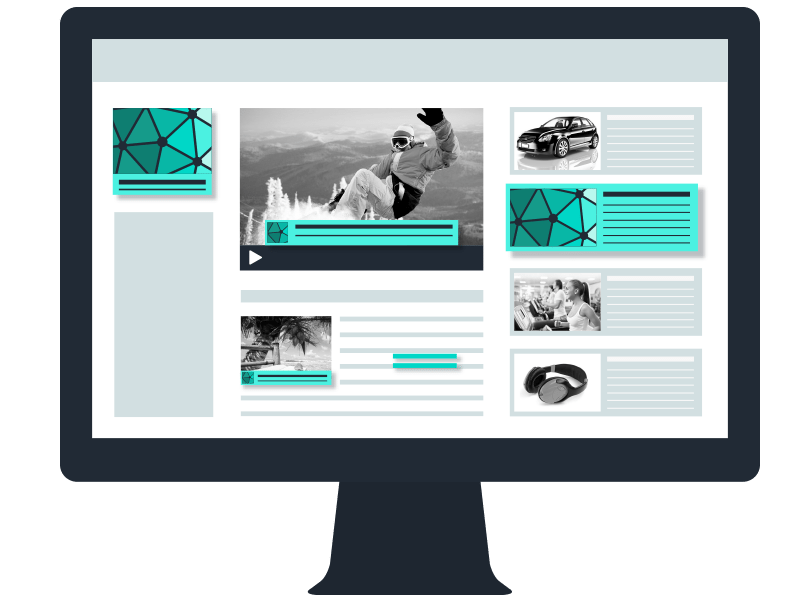 Native Advertising refers to ad units which follow the natural form and editorial content of the website in which they are placed, often in the form of editorial content on publisher websites. It’s said that users are more likely to trust the advertiser due to the perceived endorsement of the content. Often for display campaigns that we run at Coast Digital, we see Native Adverts receiving more attention than banner ads, with a greater click-through rate over standard display adverts – making them a great traffic driving mechanic in any strategy. 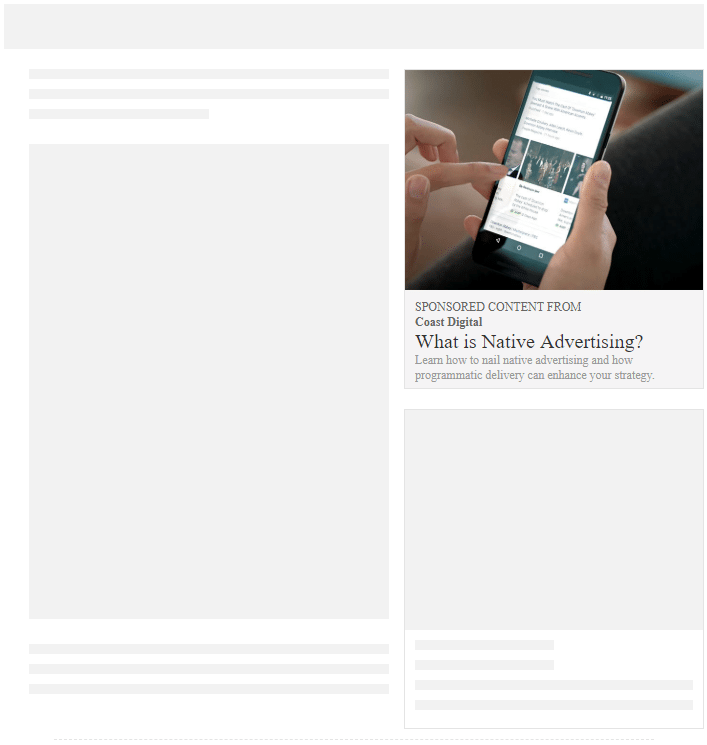 Native Adverts offer a non-disruptive delivery of your ad content that often leads to a better user experience for the audience, especially on mobile where native advertising scales to fit the user’s device. Users are more active on mobile than ever, with 7 out of 10 commuters using a smartphone device on their journey to work and 2 out of 5 adults using their smartphone within 5 minutes of waking up to consume content, giving advertisers more opportunity to get in front of target audiences. Native advertising can come in the form of images, texts and pre-roll video where the user clicks on the ad unit and is taken directly to your website to either consume content or drive action. Automated, real-time media buying meaning that we only buy placements that are relevant to the journey of the user and positively contribute to the conversion lift of a campaign. Effective targeting to ensure we are targeting users on the correct placements, on the correct devices, at the correct time of day. Audience insights for optimisation which allows us to be hands on with our optimisations towards better campaign delivery. 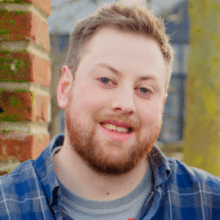 Using programmatic to deliver our native advertising mean that we aren’t broadcasting our adverts out to a generic audience on reach-based platforms – but instead delivering our campaign based on KPIs that we set, such as click-through rate, leads or purchases. Native adverts work best because they match the theme and layout of the placements that our campaigns bid on. For this reason, it’s best practice to have a range of elements to the native ad unit which placements will use to make us of. It’s important to remember that not all placements will display our ads the same and therefore each element should make sense on its own. At least 500×500 pixels, however a 1200×627 pixel image is recommended where the subject of the image is centralised – this is so the image can be cropped by placements however still make sense to the user. Lifestyle images tend to drive stronger performance, outperforming informational graphics and stand-alone product images. Whilst some placements will allow for a 60-character headline, 30-characters is recommended to avoid truncation. Remember, this should make sense on its own in case a description isn’t included by the placement and the headline should be clear, concise and speak directly to the user. Describe the content or the advert messaging in more detail. The recommended length is 90 characters – however some placements will allow up to 125. What do you want the user to do? Example: Apply Now, Learn More, Get in Touch. 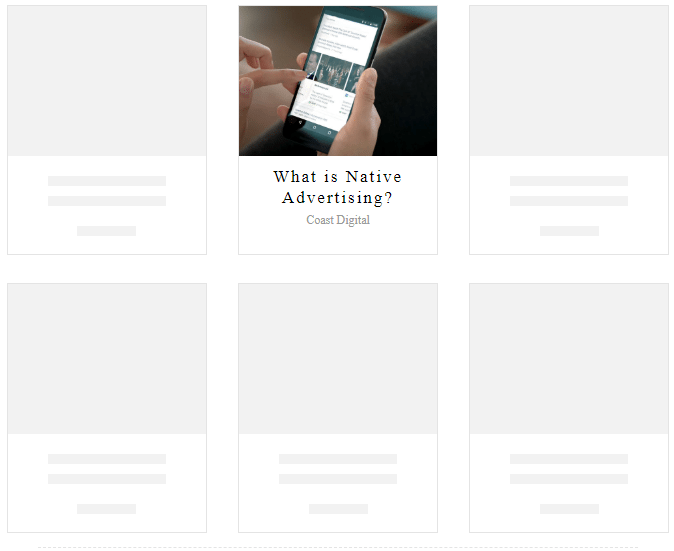 If you’re feeling inspired, but want to know what your Native Ads might look like then below are examples of how placements take elements of your Native Advert and use them to fit their editorial landscape. 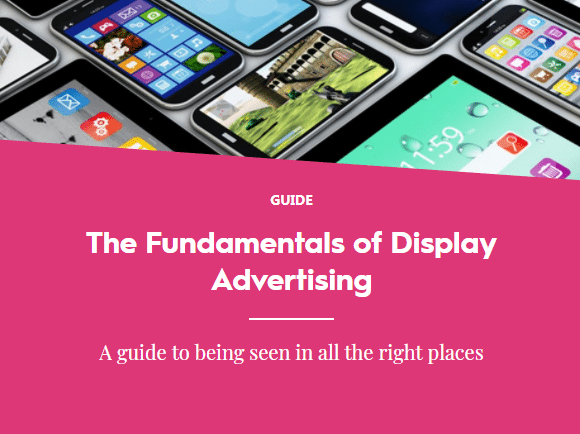 If you’d like to know more about display advertising, including how you can add programmatic native advertising into your digital marketing mix, then we have some useful resources available. and we have a great webinar on Programmatic Display and Real-Time Bidding which can be found here.